Stillorgan-Rathfarnham RFC would like to thank current sponsors Ma Nolans Irish Bars and The Dropping Well for their continued sponsorship of our club. Without the continued support of these sponsors the club would not exist, so their support is very much appreciated! Ma Nolans are a chain of French pubs owned by former club player Mr Thady Nolan. The Dropping Well is our local watering hole and destination of choice for apres match activities! We are always on the lookout for new sponsorship partners, and can offer packages for SMEs and larger sized companies. 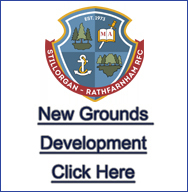 If you are interested in becoming a sponsor of Stillorgan-Rathfarnham RFC please contact us and we will be happy to discuss sponsorship packages with you. No matter how big or how small the amount, sponsorship of the club by companies and individuals is imperative to the ongoing running of the club. 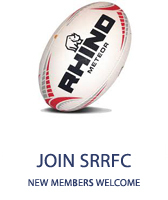 If you are interested in becoming a club sponsor please contact us and we will be happy to discuss.